Communication and Language-This week we have learnt to tell the story of the Gingerbread man using actions to help us remember each part of the story. We enjoyed creating specific actions for each character in the story and have thought about using expression to indicate which character is speaking. During our news session we have also been thinking about why it is important to listen as well as speak. It is brilliant to see the children showing their good listening skills and understanding the importance of listening to each other. Personal, Social and Emotional development-At the beginning of the week we talked about responsibility, what it means and how we can demonstrate it. The children have been trying really hard to be responsible learners and we have talked about our class rules and why they are important. It has also been fantastic to see the children playing with new people and forming new friendships. Physical development- In our P.E session this week we developed our ball skills by working in pairs to roll and catch a ball. We talked about why exercise is important and why our hearts were beating faster at the end of the P.E lesson than they were at the beginning. In the garden the children have been experimenting with different ways of moving within a large space. They have discovered the best places to gain speed whilst riding their bikes and experimented with different ways of moving along, under, over and through the apparatus. Maths-We have been learning about 2D shapes this week. We started the week by sharing all of our existing knowledge of shapes and have built on these as the week has progressed. As a class we have talked about the properties of 2D shapes and played guess the shape. The children noticed that there are shapes all around us and inspired by this we went on a shape hunt around the school. We took photos of all the different shapes that we spotted and will use these on our maths wall. Literacy-This week we have continued to work on our rhyming words, playing rhyming bingo and finding matching rhyming pairs. Whilst reading stories we have been able to identify the words that rhyme. It would be great if you could help your child with some rhyming at home. Outside, we have been doing lots of big writing using different materials, we used chalk to write on the floor and paintbrushes and water to write on the fences and shed. Expressive art and design-We have made our own shape inspired pictures this week. The aim was to create a picture using only shapes, it was fantastic to see the children using their imagination and creating their own masterpieces. These are now on the wall in the classroom. The children have also enjoyed creating their own art work both in the classroom and the garden. We have also been busy building models and using our imagination when talking about them. Understanding the World-This week we have enjoyed talking about our own families and the things that make us unique. It is fantastic to see the children showing others their family photos and talking about the people that are important to them. Next week we will be making stone soup and need lots of vegetables to put in our soup. Please could every child bring in a vegetable that the children can then peel, chop and add to our soup. If all vegetables could be in by Thursday that would be fantastic we will then make our stone soup on Friday and eat it during the day. International evening is on Thursday 20th October in the school hall. The Foundation Stage and Year one classes will be having a stall that represents Great Britain. If you have any ideas for traditional games or food and would be willing to help us then please let me know. News books-Just to remind you that if you have written in your child’s news book then you need to hand it to one of the adults in the classroom in the morning. We will check the book bags of children who come in on the bus or from breakfast club. From next week Mrs Rama will be working in our class in the mornings and Mrs Hales will be working in our class in the afternoons. This will continue until Mrs England returns. Mrs Bruce will be teaching the class on Wednesday morning. I will be back in class after lunch. Individual photos are next Friday. Parent consultations will be in the school hall on Tuesday and Thursday after school. Can you think of 3 words that rhyme with ‘man’? Draw pictures or write the words you think of. 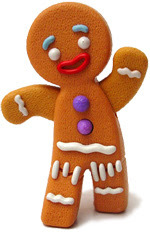 Tell a grown up the story of the Gingerbread Man. You could use different voices for the different characters or act out the story. You could also go to the library to read the story together or look online for a version of the story to read.